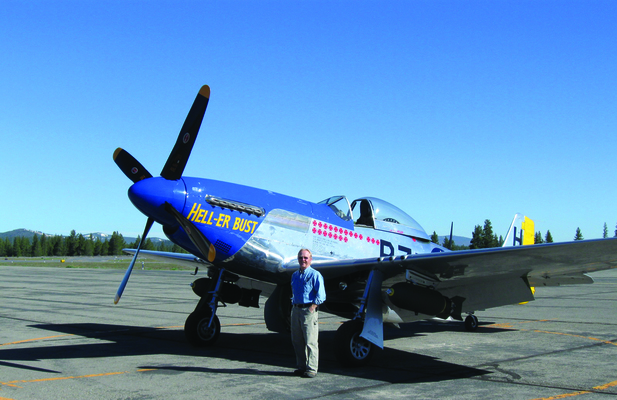 Phred Stoner, who has announced his impending retirement this December, has worked for the Truckee Tahoe Airport District as the Director of the Operations & Maintenance for longer than he will admit. Twenty-three years to be exact. Under Phred’s direction, the operations and maintenance staff oversee the UNICOM station, aircraft fueling and ramp services, airfield and facilities maintenance, construction project management, snow removal, aircraft recovery, and forest management. His overwhelming success at the airport is the result of years of experience and skills earned and learned over the course of his career. 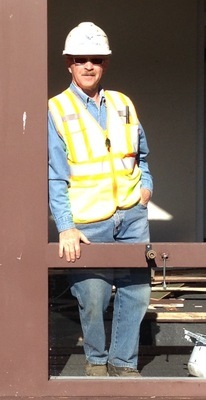 In his early years, Phred performed reclamation work in an open pit coal mine. He remembers operating and caring for heavy mining equipment in sub-zero weather, core drilling and setting blast charges, and feeling the “whumpf” as an entire field of soil overburden would explode from the mine surface. A graduate of Ohio State University with a degree in Forestry, Phred meshed his book-smarts with his imbued tenacity and signed up for the Forest Service Hot-Shot Fire Fighter team based out of Truckee’s Hobart Mills. Phred fought forest fires for two seasons. Having endured real forest fires, Phred moved on to putting out the proverbial fires smoldering in the ski industry. 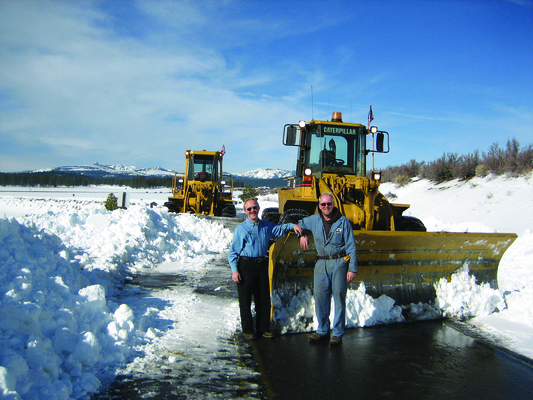 Many Truckee Tahoe locals remember Phred as the Mountain Manager for Northstar Ski Resort overseeing forest management, lift maintenance, grooming, snow-making, and the myriad day to-day tasks that seem to crop up on a ski slope. Perhaps it was Phred’s love-hate relationship with snow that led him to TRK. Phred has spent many sleep-deprived nights throughout his snow-removal tenure here at the airport, studying the weather, bivouacking in the airport’s folding “snow-cot,” and jumping up in the early hours to start the heavy equipment and prepare the snow-removal plan for the morning. A plan, as Phred has often pointed out, which requires constant revisions throughout the changing conditions of each snow day. The addition of the airport’s runway-cam has recently allowed Phred the luxury of spending the snow night in his own bed at home— with his alarm set to wake him up at 12 a.m. (to assess the snow conditions), followed by 1 a.m. (another look at the runway) followed by 2 a.m. (is it still snowing? ), and finally 3 a.m. (time to start the day). During his time away from the Airport, Phred is certainly not idle. He has always managed to put his love for and the needs of his three grown daughters – Hilary, Margo, and Ali – first among all other priorities. He has enjoyed meeting up with them as they have toured various spots around the nation and the globe. For the last several years, he has been working on an extensive home landscaping project—tearing out a deck, remodeling a shed, growing ornamental plants and fruit trees, and moving (by hand) several tons of gravel, dirt, and boulders in an effort to install front and backyard turf. Rumors abound that Phred’s orange tabby cat, Badger, was the actual foreman on the job and Phred just did as the cat directed. Phred has poured his heart and soul into the Truckee Tahoe Airport. The successful completion of the Taxiway A rebuild project is just one recent example. Phred’s service as the Director of Operations, Director of Maintenance, and Interim General Manager, will long be admired by the airport’s staff, its users, and all who have had the pleasure of meeting him. Best wishes, Phred, you will be greatly missed!